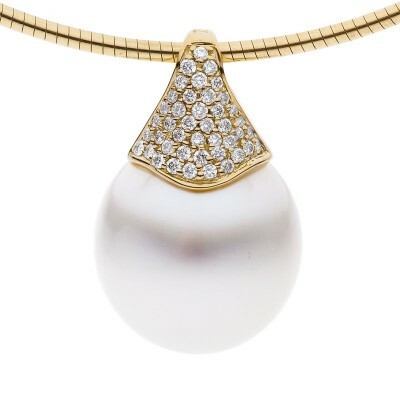 Let your outfit shine with our Persian Pavé pendant starring an Australian South Sea Pearl. Featuring a double sided bail, one set with diamonds, the other polish giving you unlimited possibilities. This design is striking high around the neckline, or to dress up a little black dress. You can’t go wrong with this beautiful pendant. Buy now, wear now, pay later interest-free.